Life is too short to eat flavorless food. Let Huti's 5 take you on a gastronomical journey where adventure awaits. Five simple steps and you are on your way. There haled not long ago... a brave and whimsical character born with the pursuit of endless culinary adventure. Not satisfied with his given name, he declared his rightful name Don Kee Huti. Don Kee Huti traveled the world’s highlands, lowlands, and all places in between. Although far too many to cite, it was the lands of South America that captured Don Kee Huti’s fascination and appetite. Here culinary collisions near and far tangled to inspire food that seduces and endears the hungry soul. It was here he discovered how the magical flames of natural fire free the flavors of meats, fruits, and vegetables to euphoric proportions of taste. You might find this tale a bit “ri-donk-ulous”. No worries. 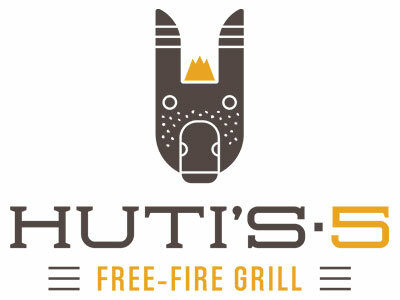 Just know HUTI’S 5 Free-Fire Grill is your invitation to share in this tasty adventure. After all, THE FIRE IS CALLING AND WE MUST EAT.